NWA Democrat-Gazette/DAVID GOTTSCHALK Jaylee Kelley watches his son Payton play Wednesday, August 1, 2018, inside their apartment in Fayetteville. 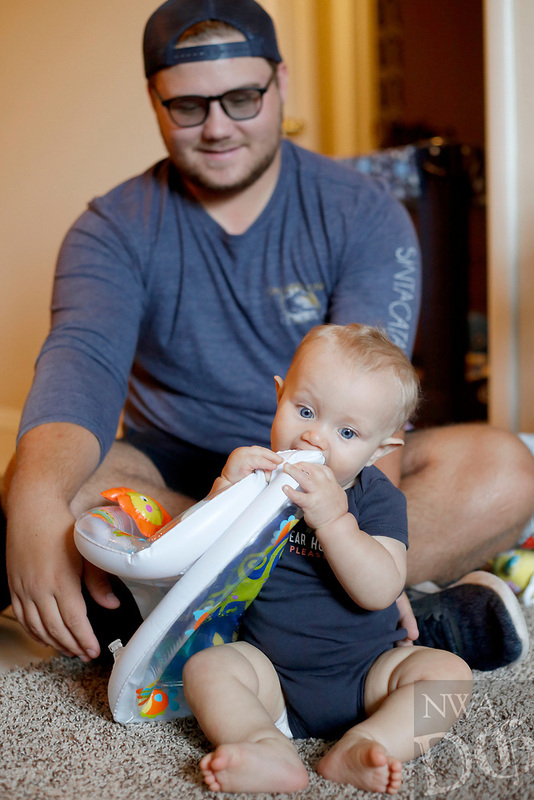 Teen fathers in northwest Arkansas, like Kelley, have limited parental support resources. The Teen Action and Support Center is working on a teen father mentor group to change that.